The SiXSIREN is a unique siren by alarm system standards. Sitting out of sight on the ceiling, the battery powered, 85dB sounder will make sure that you can hear alarms no matter where you are. The Honeywell SIXSIREN is a wireless siren designed for the Lyric controller. This is Honeywell's first wireless siren that offers chiming capabilities, LED confirmation and it is fully powered by battery only. That's right, more technology and the flexibility to move it around the premise at your convenience! This device communicates back to the alarm panel using the revolutionary SIX technology. This is a new wireless protocol that uses a 2.4GHz frequency (same as WIFI) and strives to offer more reliable connectivity, longer range, and battery and RF signal level readings on the panel and remotely Alarmnet! The siren can produce sounds of up to 85 dB, which is the same as the Lyric's internal sounder. Since this siren uses the SIX technology it must be enrolled as a wireless zone your Lyric controller. Similar to any RF SIX device, you can auto-enroll it by clicking into the serial number field and powering it up for the first time or pressing the tamper switch. Give the system at least 20 seconds to acquire a solid connection. The LED will rapidly flash green for 12 seconds. Then trigger the tamper switch again to lock in the device. There should be a solid green LED flash for 3 seconds. Always include the farthest SIX device from the panel first. After that, it is less important. Ask and you shall receive! Honeywell created this siren based on customer feedback, particularly when it comes to the chime feature. Before the Lyric, the LYNX Touch panels relied on the installation of an auxiliary keypad in order to produce chimes outside the main control panel. In order to keep these wireless keypads from falling asleep (when battery powered) they required AC power. You were not able to get remote chimes from anything other than the wireless keypads on the LYNX Touch panels as the 5800WAVE wireless siren only sounded a full alarm. The SIXSIREN incorporates siren sound and chime sounding and as it's fully battery powered, it offers a very easy way to add extra panel siren/chime sound to your Lyric system. In fact, it only needs 4 AA Lithium batteries (included) which makes battery replacement convenient. No wiring at all! The housing is a circular shape (3.78 inches in diameter and 1.14 inches thick) and looks just like a standard smoke detector. It can be wall/ceiling mounted or it can be just left loose. This is a great device for bringing around to peripheral points of the secured premise such as a shop, basement or even out by the pool. That way if even enters the home, even when the system is disarmed, you will be notified! Another common use, can be monitoring door/window openings from your teenager sneaking out at night or your curious toddler opening the slider to the back yard. Honeywell came through big time on this product. It was long awaited and is finally here! I mounted the SIXSIREN in my garage. Its LED indicators make it easy for my children to know if the alarm is armed or disarmed when we are heading out or home. Easy to set up and mount and its plenty loud. Why Won't My New SiX Series Device Program Into My Lyric Panel? How Do I Change the Batteries in a Honeywell SiXSIREN? Does the Lyric Alarm System have an Internal Alarm Siren? I had one SIXSIREN that was communicating with the panel, but not sounding, for chime or for alarm. Upon opening it up (appreciate how easy Honeywell makes this), I found that the wire from the sounder to the header connector on the board was lose. Upon re-seating it, the siren functions normally. Yes. The Siren's center LED illuminates Red, Green, or White for different conditions. It provides status for enrollment into the control, Panel status (disarm, arm, alarm), low battery, and tamper. For Panel Status the LED is RED for 20 seconds after arming Stay or Away, Green for 20 seconds upon disarm. For a Burg Alarm Condition the Siren will provide a 3 Second Warble Alarm Sound and Strobe, pause and repeat. Does the light flash when in alarm status for hearing impaired customers? It sounds like you have made some good progress Brent. There is no way to permanently make Silent Exit an option as the point of the exit beeps are to avoid a false alarm should someone arm with others in the home that don't realize the arming is happening. False alarms are a big problem in the industry so manufacturers need to design their systems to meet SIA requirements and an exit delay beep when arming away is one of the requirements. There's also, unfortunately, no way to eliminate the keypad beeps. One option for an easy remote arming from the key fob with no exit delay beeps would be to arm to Stay mode. However, if you have any motion detectors they would then be bypassed so if you are trying to arm the system with the motions still active without any exit delay beeps, you would need to use Total Connect 2.0. Assuming you aren't using Night Stay mode now, simply edit each of your motion detectors (in the Zone programming section) so that the Arm Night option is enabled. With at least one motion set to Arm Night, you'll find you now have a third type of arming from TC2 (Night Stay mode). When arming from your app, using this mode, the system won't have any exit beeps (because you are arming to stay mode) and, with all motions set to Arm Night, your motions will still be active. I hope this helps! I'm not sure which beeps you are referencing. Do you have the Arm Confirm option set to None in the Sounder section of programming? If not, give that a try as that can cause a loud siren tone when arming Away and disarming and is designed to let someone know that a remote arming from a wireless keypad and/or key fob actually made it through to the panel. If you already have that setting set to None, or you're still hearing more deeps that are troubling your dog after setting it to None, please clarify which beeps they are and we may have other options. Is there a way to disable the loud confirmation beeps when the Lyric system is armed/disarmed both from the panel and from the remote key fobs? It is scaring the beejeebers out of my poor dog! The included batteries should last 5 years and the system will provide you with a low battery trouble on the zone so that you have time to replace the batteries before it stops working. If you have the chime mode enabled, so that the SiXSIREN makes a noise when zones are faulted in the disarmed state, the battery life will drop to 1-2 years. How long will the batteries last? Also will it give a low battery alarm? It is not designed for outdoors so the concerns would be temperatures outside the listed range (32° to 122° F) and moisture from rain or humidity. It's possible it could work in the right environment with the right installation but we would usually not recommend it for outdoors. Honeywell said they are going to work on an outdoor siren for the Lyric but the only option currently is to use a wired siren powered from a separate power supply that is turned on/off by a Z-Wave module that is learned into the Lyric system that is programmed to go on when the panel is in alarm mode and off when disarmed (or at the end of the bell timeout period). We don't have any packaged kit that includes the parts needed for this but in theory, it can be done with the right items. Can this be used in an outdoor/covered location? What else do you recommend for external sirens for the Lyric? No, the SiXSIREN only does the regular chime with no voice chime available. does this do voice chime, meaning saying the name of the zone that faulted? Upon power up, it does flash the green LED for about 20 seconds and then goes steady on for 3 seconds. If you enter programming mode and hit Zones how many green bars is it showing for signal strength? No, not at all. The siren is less then 20 feet away. Once I changed the batteries the green light started blinking, not sure it was doing that with the old batteries. Anything else I can check? Is the siren supposed to blink green only when the head base is removed? You would get a separate low battery alert if it was a battery issue. It's possible the batteries drained enough so that the sensor signals weren't transmitting as far as they were before and therefore weren't reaching the panel. How far away is the siren? Is it one of the furthest sensors from the panel? Yes I opened the head to change the battery to see if that was causing the issue. Nothing has changed placement wise or environment wise for the siren or panel. Could it be a faulty siren? How else do you trouble shoot somethign like this? I will see if the change of AA batteries will make a difference. Is this the alarm I would get with low batteries or would I get a low battery notice? It seems your zone 19 siren is having issues communicating with the security system as we saw a supervision trouble (with restore) yesterday and then twice more that happened this morning. Most recently, we see a tamper alarm on that sensor. Did you remove the head from the base to troubleshoot the supervision issues? Has anything changed with the placement of the sensor or the panel or the environment in between? Yes, it is selectable if you enter programming mode and edit the SiXSIREN zone and hit the down arrow. Just make sure to save your change. Is it possible to turn off the chime on the siren? The two devices are not perfectly synced with their chimes so a delay between the panel's chime and the SiXSIREN chime is not unusual. Also i noticed there is a 2 second delay in chime from panel to siren. is that normal? No, unfortunately that's not a feature of the SiXSIREN at this time. is there any way to leave the led on so it can tell me status. I have a back door that we use to let the dogs out and every now and then they want to go out middle of night. i am afraid i will forget the alarm is on and wake everyone up in house. if the siren can leave led on i will know alarm is on. Did you try removing the battery and putting it back in when you are in the serial number field in panel programming? Are you getting rapid or slow blinks? I just tried programming my Six Siren to my Lyric without any luck. The Siren just does a hard beep after flashing green for about 15 seconds but, serial does not display. Tried entolling it manually and it does not seem to recognize it. Any tips of what i'm missing? No, this only works with a Honeywell Lyric system. Will this work with the old 5800 series honeywell panel? Yes, we are big fans of the SiXSIRENs ourselves! Did you notice we offer no-contract monitoring plans and fully support the Lyric? 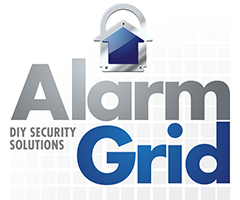 You can view our plans online at https://www.alarmgrid.com/monitoring and it would be an easy process to switch to us if you are interested and not under contract now. Wonderful! This simple option has been needed forever and why Honeywell would not let the owner decide how sounds were controlled was frustrating. I have the lyric in our master bedroom and don't want a blasting alarm confusing us at night in an emergency. Having this sound OUTSIDE our bedroom door will be plenty to awaken us and now the panel sounder won't freaking out the wife, dogs, and myself while I prepare to deal with the threat. Ordered! Yes, the SiXSIRENs and the wireless keypads will still sound with the Burglary Alarm Sound option set to No. So on the LYNX panels you could easily disconnect the siren cable inside the panel. The Lyric has enclosed internal structure so this is no longer possible. We are going to test the burg sounder option and see if the SixSiren's still ring out with it disabled. I will report back asap! Can I have the siren/s sound and not the control pannel? I'd like to be able to hide the control pannel. Will the SiXSIREN still sound if I have the panel burglary alarm sounder option set to off? I want to keep my control panel hidden and only have the wireless keypad visible, but still want an audible alarm to go off, just not from my control panel, giving away its location. We haven't heard of anything like that so far. Plans to include a microphone to enable voice activation from another room to the panel?